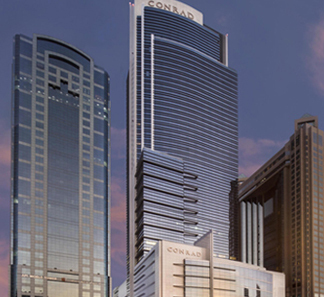 Conrad Dubai represents one of the largest meeting spaces in the city with a total area of 4,400 square metres and offers a splendid setting for social gatherings of all descriptions. With 11 flexible and dynamic conference rooms, three boardrooms and two grand ballrooms, the Conrad Dubai provides the perfect backdrop for special occasions, business meetings, product launches and corporate gatherings. 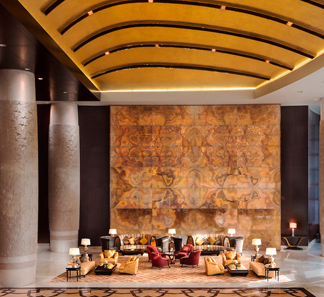 Conrad Dubai offers glamorous sophistication throughout an extensive range of distinctive and exclusive venues. Enjoy superb catering services and allow the event experts to help organize every detail. From intimate dinner receptions to gala and full-scale celebrations, the dedicated event-planning team and extensive resources at Conrad Dubai can make every vision a reality. 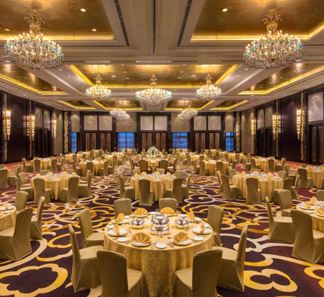 Host a spectacular event in one of the two elegant ballrooms featuring natural daylight and luxurious décor. All venues boast advanced technology and audio/visual equipment. The hotel's event professionals will help coordinate all the important details to make your event unique and memorable. Discover a new standard of contemporary luxury and enjoy a prime location in the heart of Dubai’s financial and shopping district. With innovative facilities and impeccable service, the Conrad Dubai provides the perfect surroundings for a memorable event.